Nikon Df - Overpriced plaything or serious camera? I've had some mixed feelings about this camera. I got all excited when Nikon were teasing it, but when it finally appeared I was somewhat disappointed. By the look and it's knobfest appearance and mostly by the price. However I always had it in the back of my mind that I would end up with one at some point. Reviews were mixed, but mainly focusing on the negatives. Then there started to appear a few positive reviews. Chris Handley, a Soundimageplus regular who I have a lot of time for, bought one and wrote good things about it. I then decided to look for myself and handled one at my local Calumet. I did like the camera very much and was somewhat mystified at some of the handling criticisms of the camera. For me it worked very nicely. However, there was still that very large price tag. So I considered importing one from the far east and Chris, who lives in Hong Kong, kindly gave me some advice on that. However before I got round to sorting that out, a mint second hand one turned up with a very low shutter count from a company I've bought from before. It was at a price I was prepared to pay so I bought it. 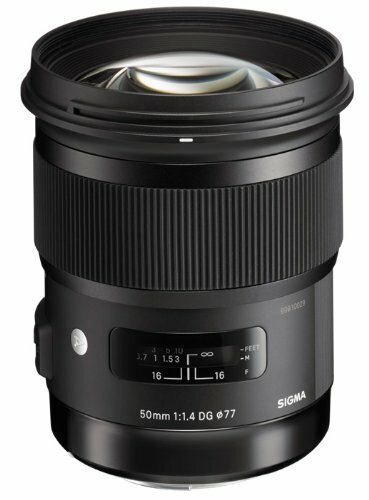 It arrived yesterday, so I went out with it fitted with the Sigma 50mm f/1.4 ART lens which had arrived a few hours earlier. Now this is a very heavy combination, though actually quite comfortable to handle. The pictures were absolutely superb, but I'll deal with that in future posts as this one is all about how it feels and handles. Below are a couple of comparison shots with my Fuji X100S and Fuji X-T1 and Sony A7r cameras. As you can see, once I use the Df with my smaller manual focus lenses, it takes on somewhat different proportions and becomes a lot lighter and smaller. It is still, however, somewhat bigger and weightier than the Nikon film SLR cameras it's based on. But for a Nikon camera with a 35mm film sized / 'full-frame' sensor it is significantly reduced in size and bulk. It is also worth remembering that this sensor is only available in one other camera, the Nikon D4 and that is a a bit of a a monster. So you do in fact get most of the benefits of the D4 in a more manageable package and at a somewhat reduced price. So what of all these knobs and dials? A great deal was made of the fact that they are secure, in that you have to lift them to adjust them. Some people found this difficult. However, this is greatly exaggerated. They are actually very nicely weighted and easy to adjust. Now I neither prefer this or a mix of menu and physical controls on principle. I go with what works for me. For example I love the touch screen only control of the Leica T but I am less than enthusiastic about how Sony put together their control elements. The Df works just fine as far as I'm concerned and I had no problem with it. Is it retro? Well I suppose it looks like it, but retro styling doesn't imply retro handling. This is nothing like a Nikon film. No way, no how. It's totally digital and the use of a few metal knobs and dials doesn't change that. And it's important to remember that. Sure it's got a mirror and you get that 'slap' when you press the shutter. But then again the shutter button is very positive and very quick. Completely unlike those flaccid mirrorless shutter buttons. Plus there is of course a clear optical viewfinder. No EVF or live view screen running here. I have to admit that was a bit strange, since the only OVF I have currently is in my Fuji X100S and that's a bit different anyway with the frame lines. However it was no great problem and I realised that a lot more is made of this viewfinder issue than it deserves. Just as with the mirror / lack of mirror division, ultimately it doesn't really matter if the camera does what it's supposed to and doesn't create problems. So to the question at the top of the page, yes of course it's a serious camera. Indeed it's a very good one. The images quality, of which more in later posts, is as you might expect, extremely high with that astonishing low light / high ISO performance. But what of course really matters, since I paid for it, is that I like it a lot. And just finally if you want an attention grabbing, posing camera, then this is the one. I've never had so many people take notice of a camera I was using. My wife Ann is unconvinced saying its the 'gaudiest' camera she's ever seen. make of that what you will. It's all in the eye of the beholder I guess.